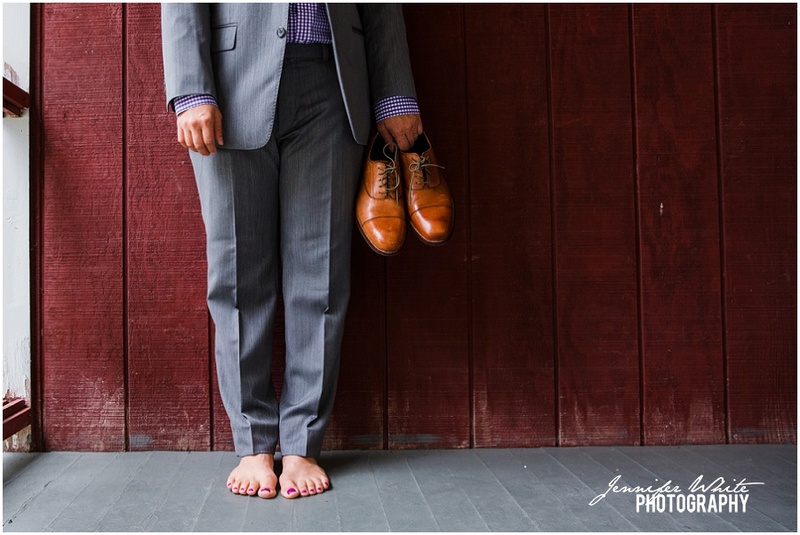 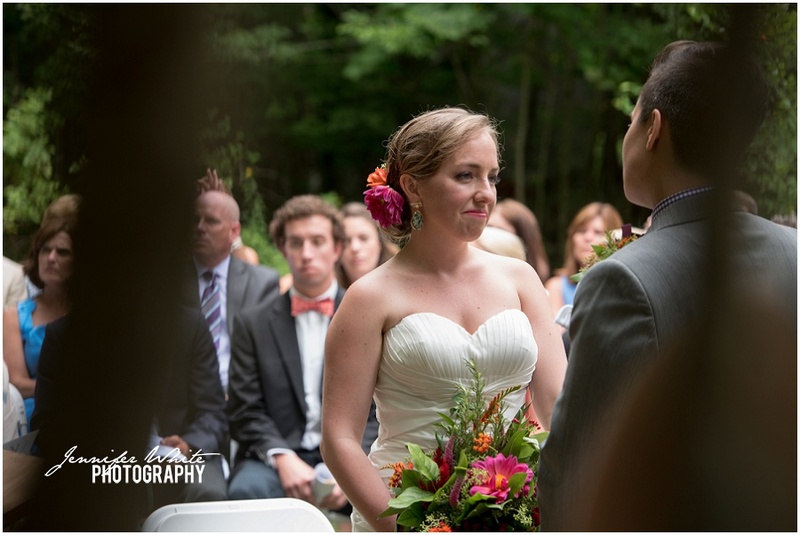 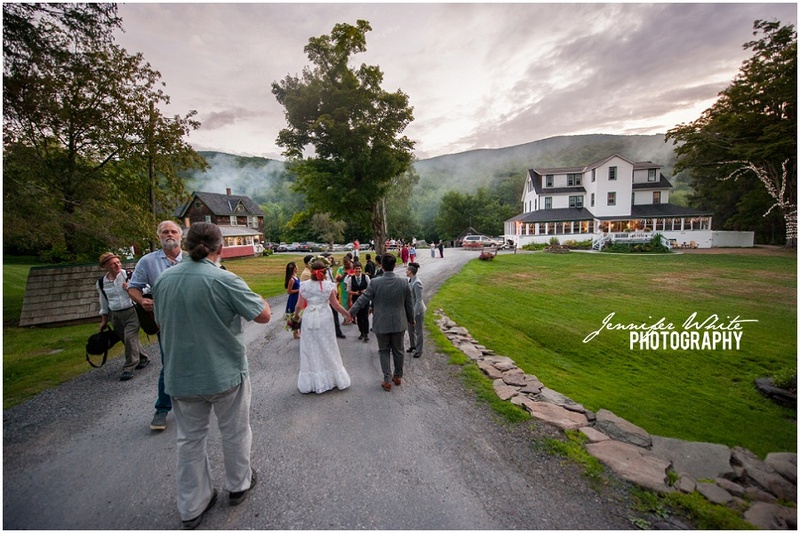 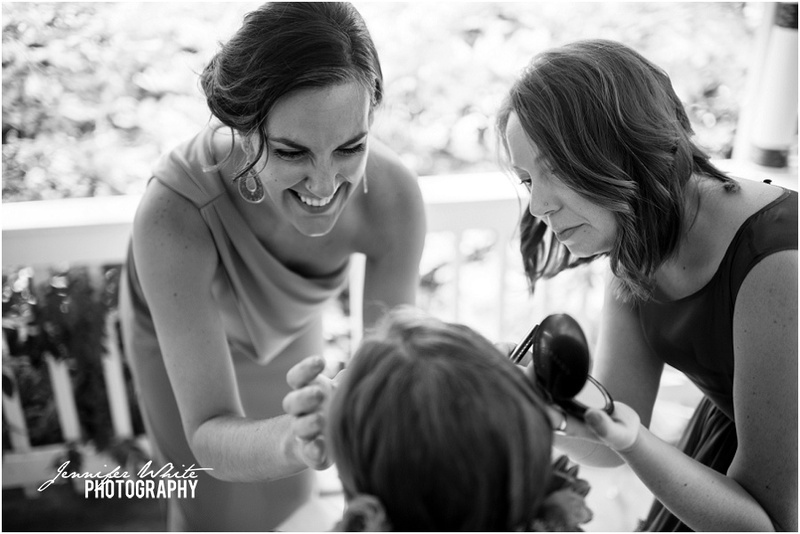 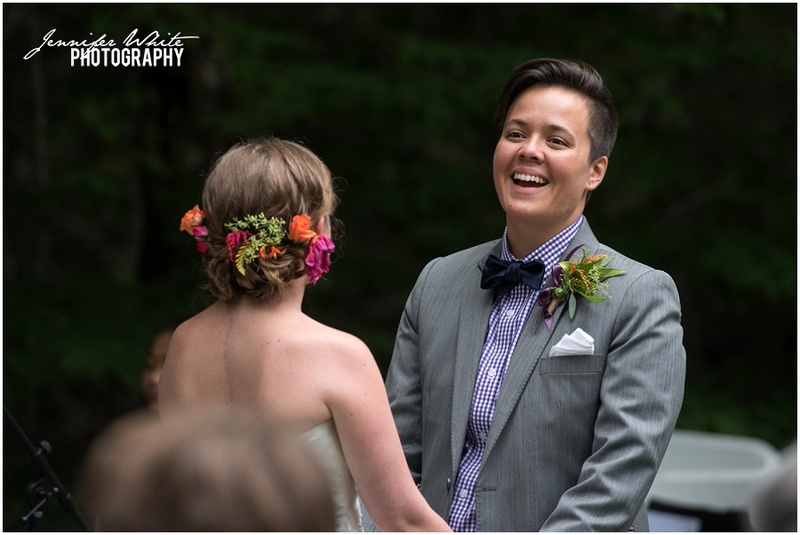 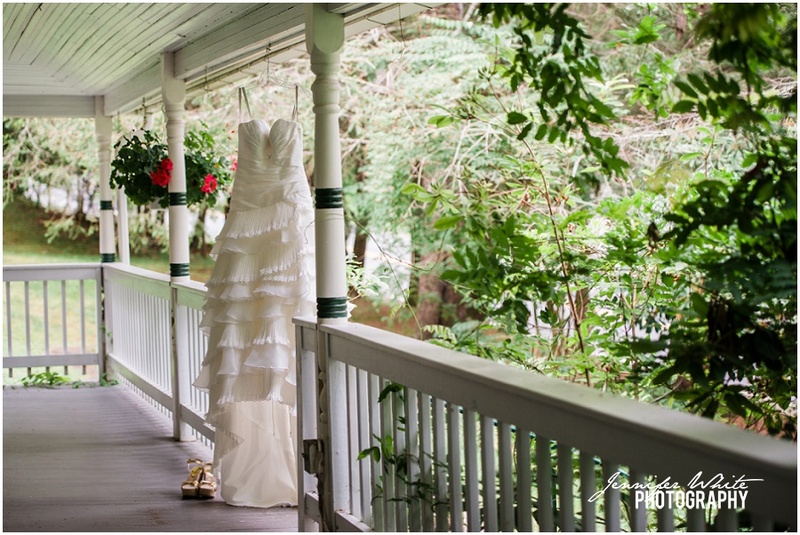 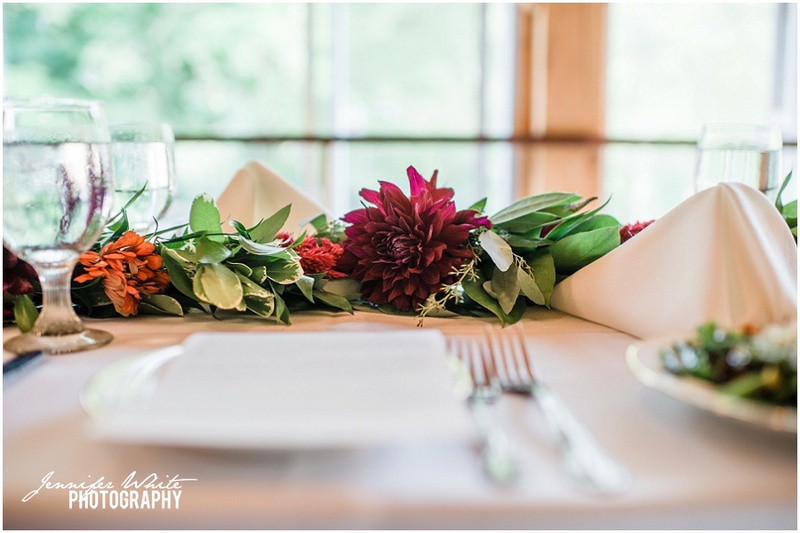 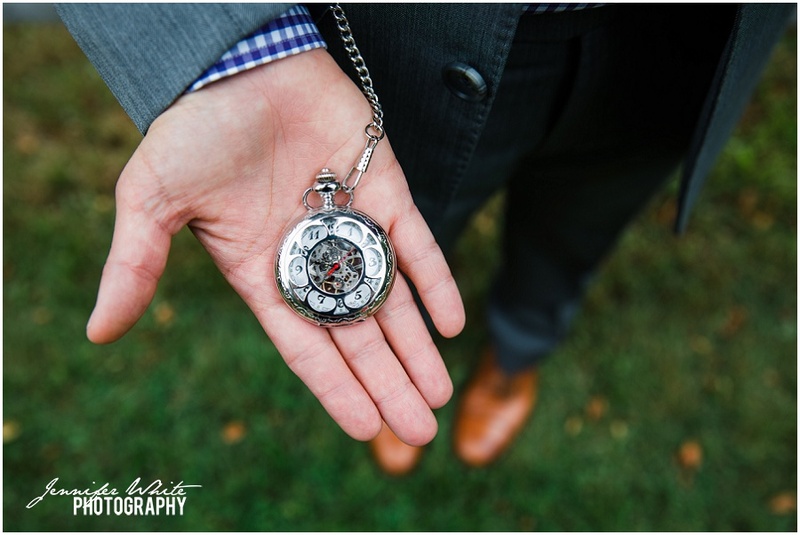 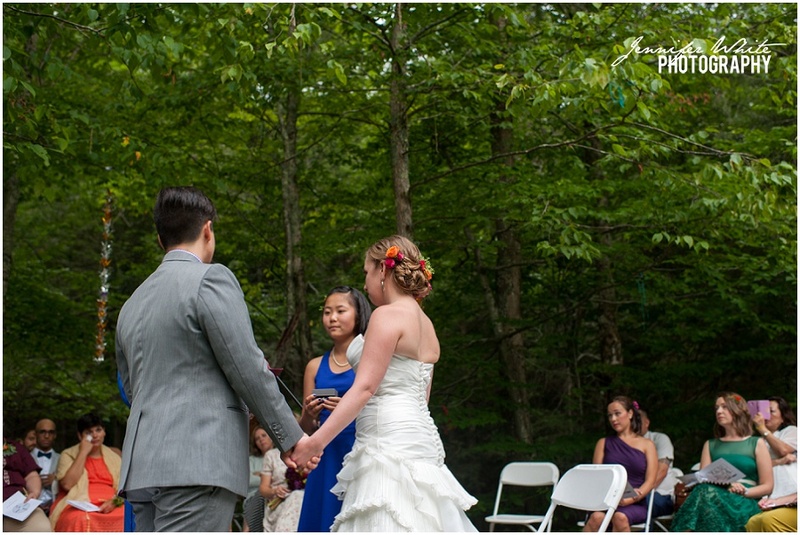 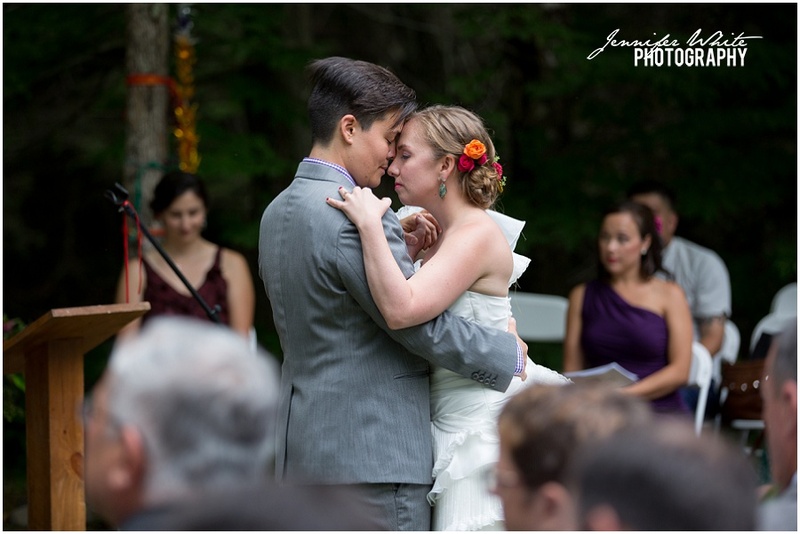 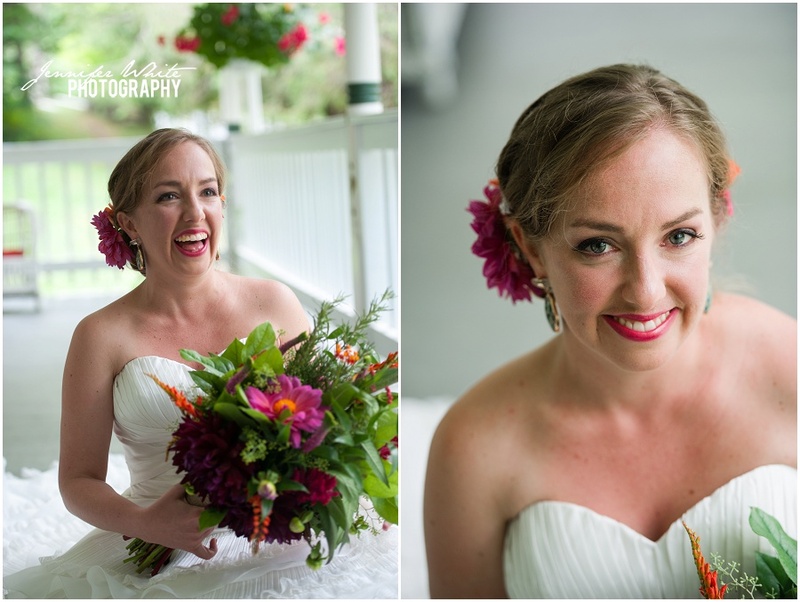 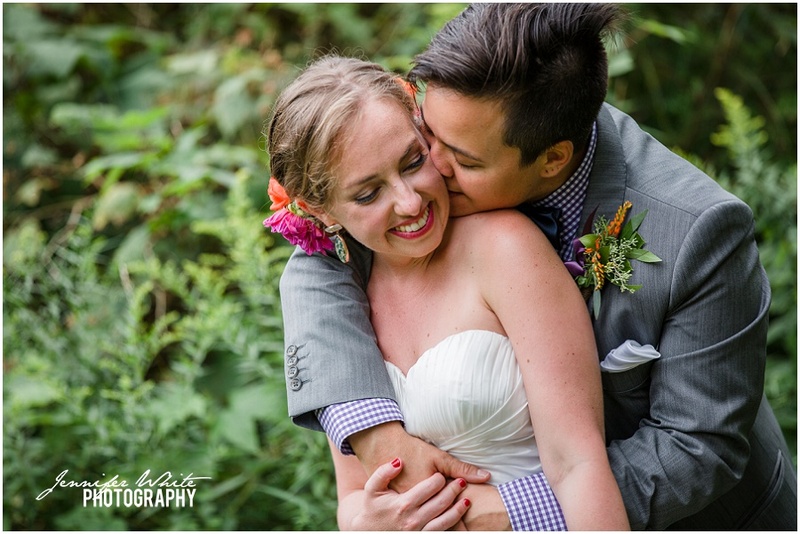 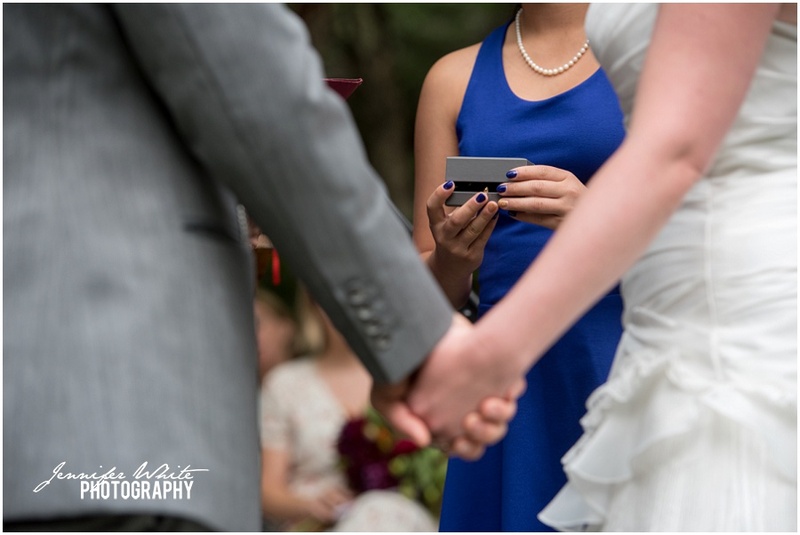 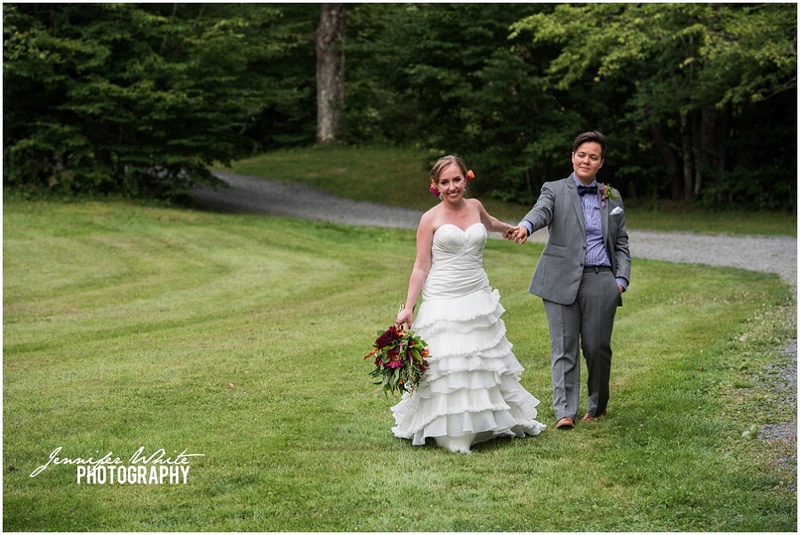 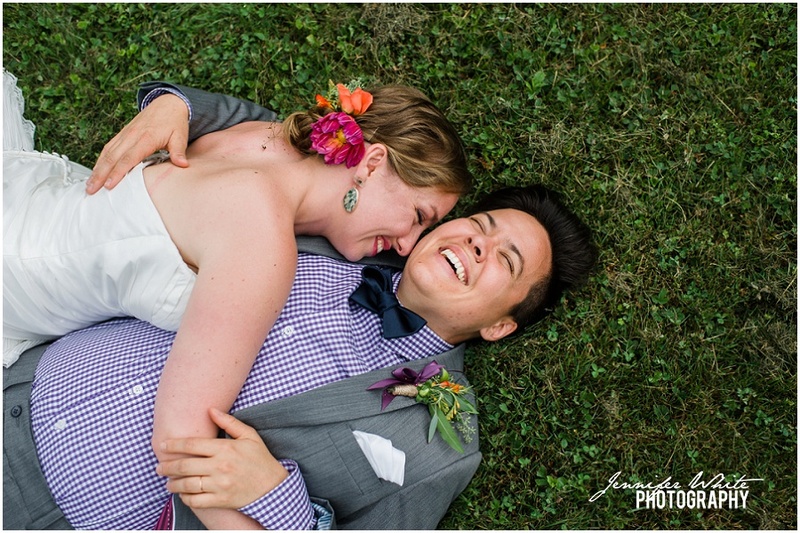 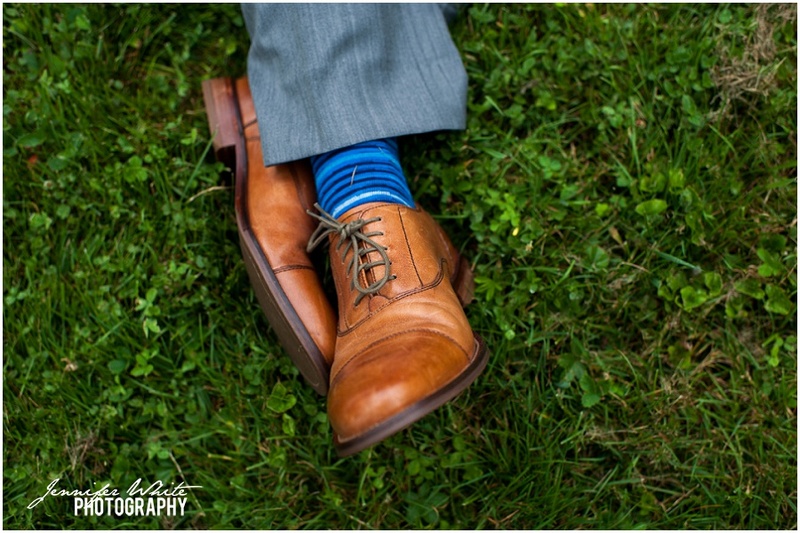 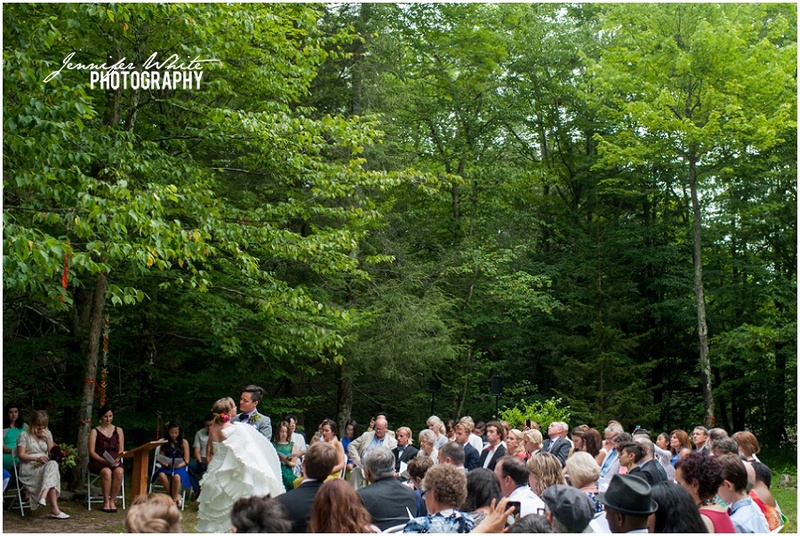 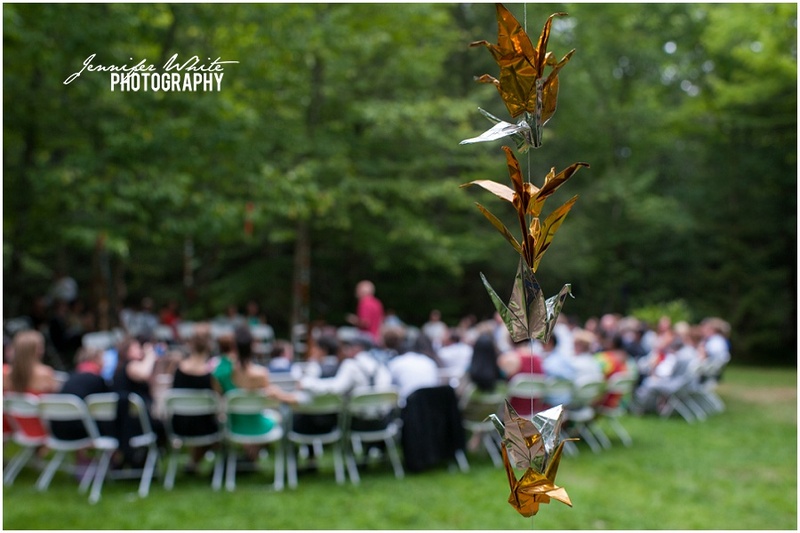 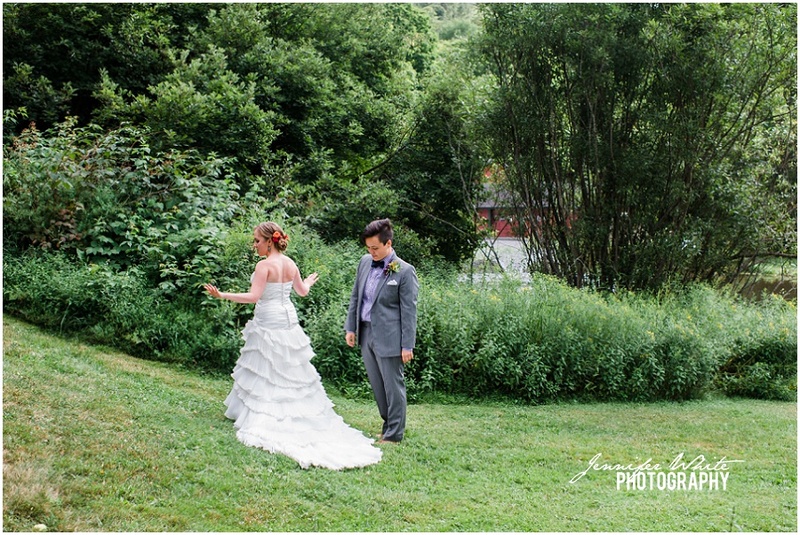 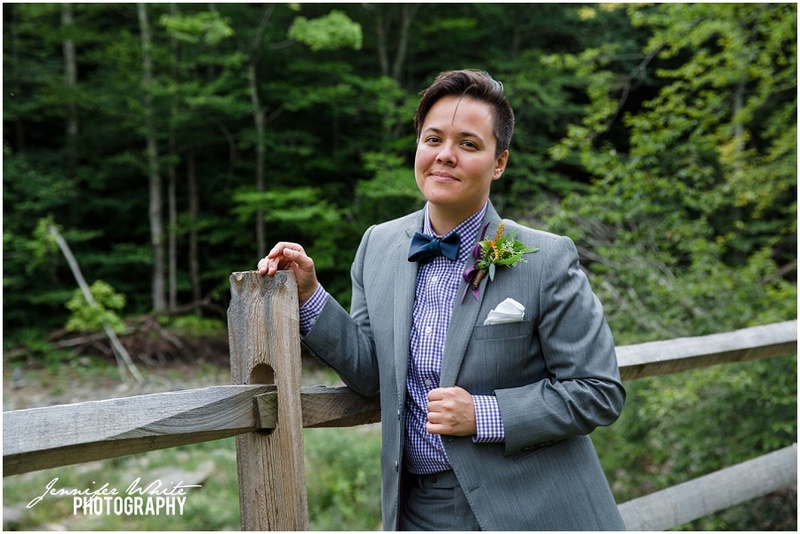 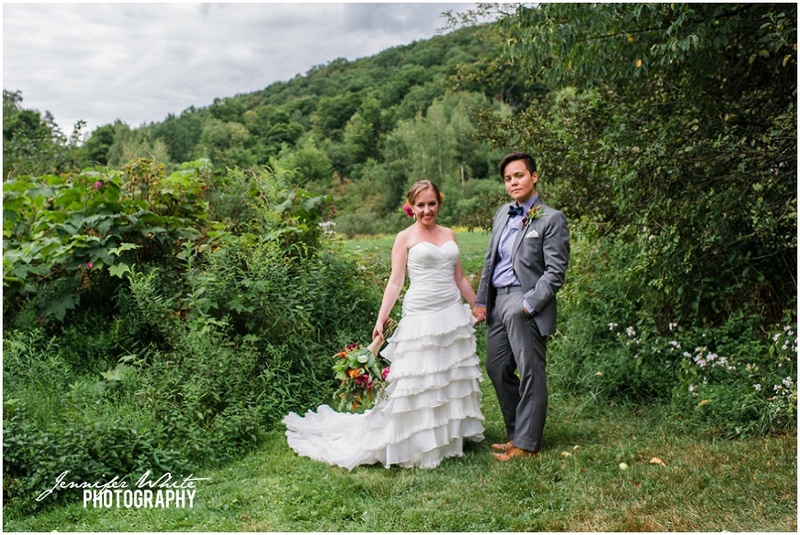 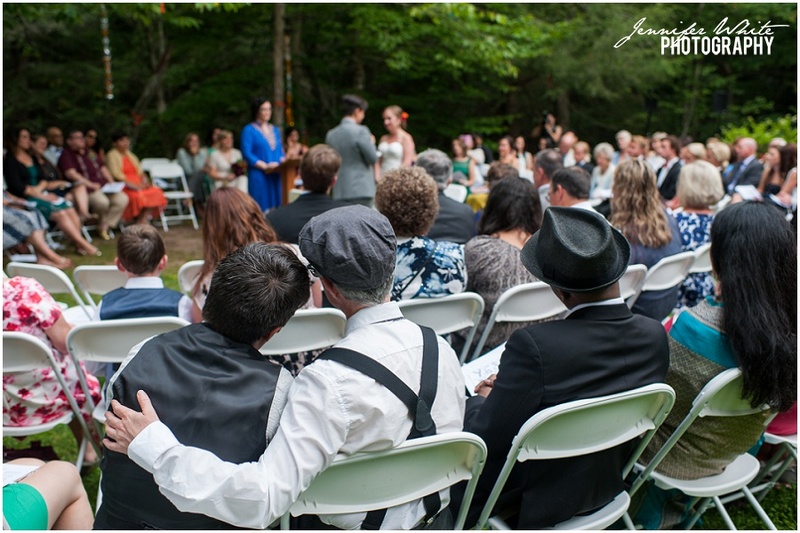 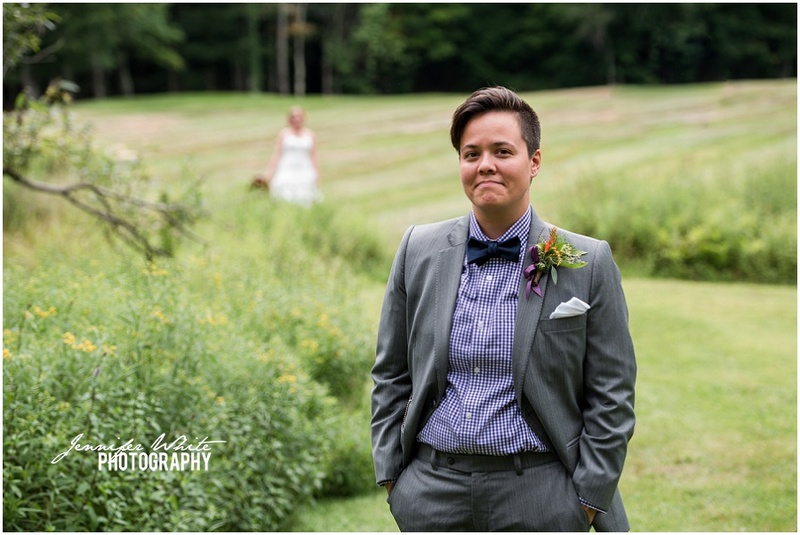 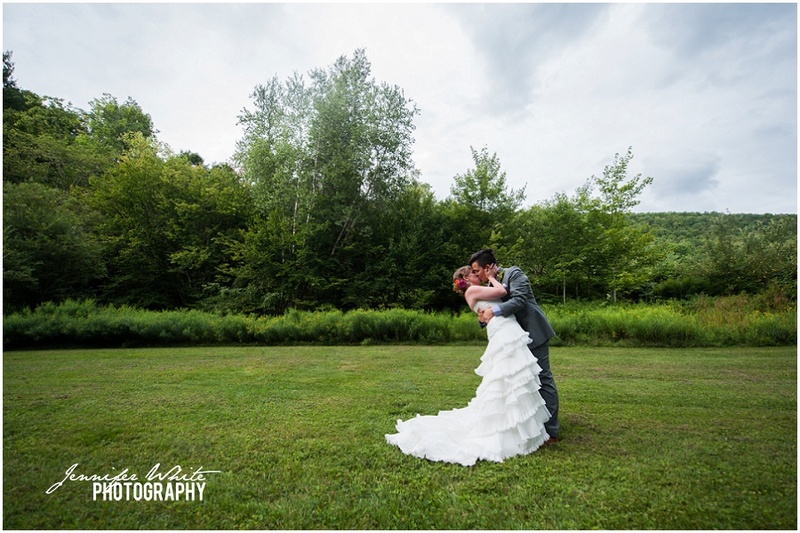 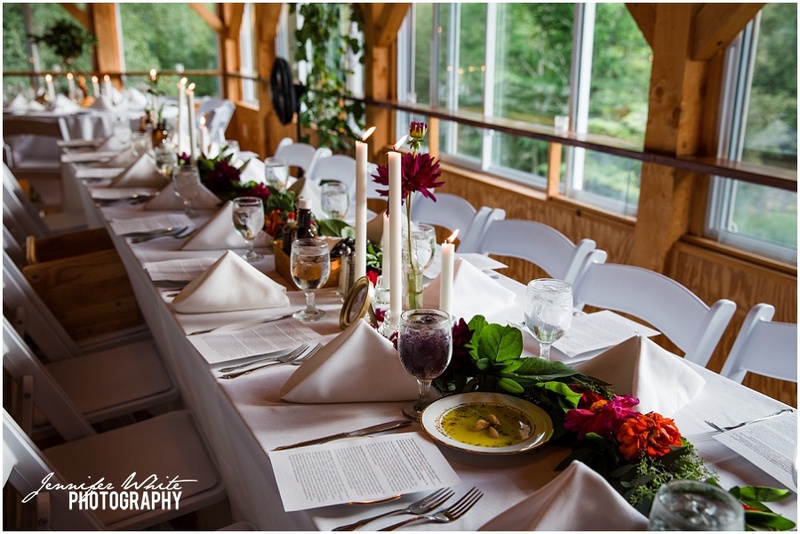 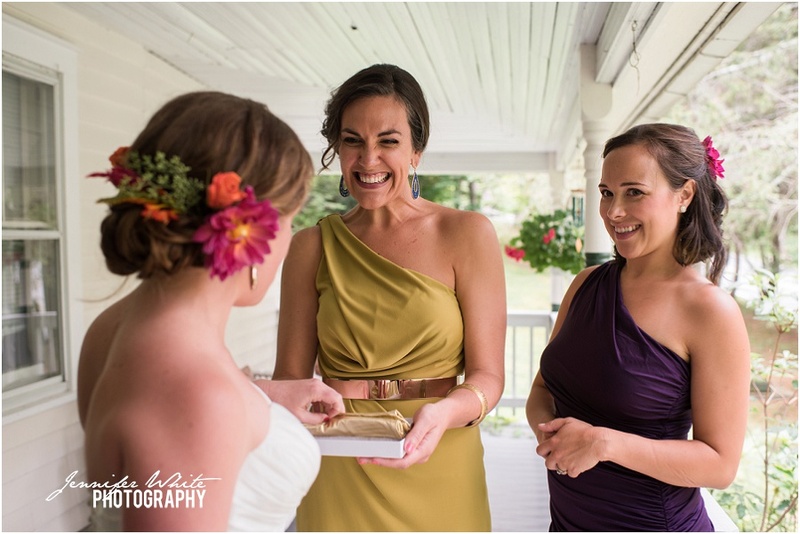 This summer, I traveled to the Catskills for the wedding weekend of Ashley & Mi. 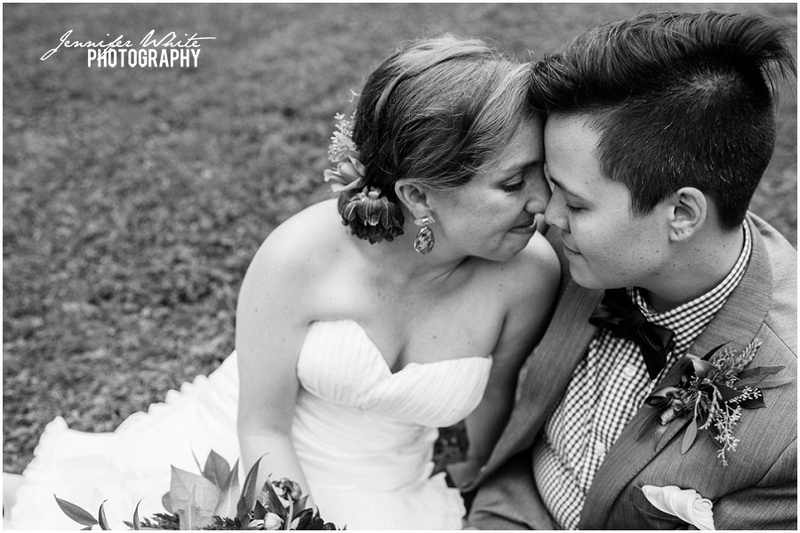 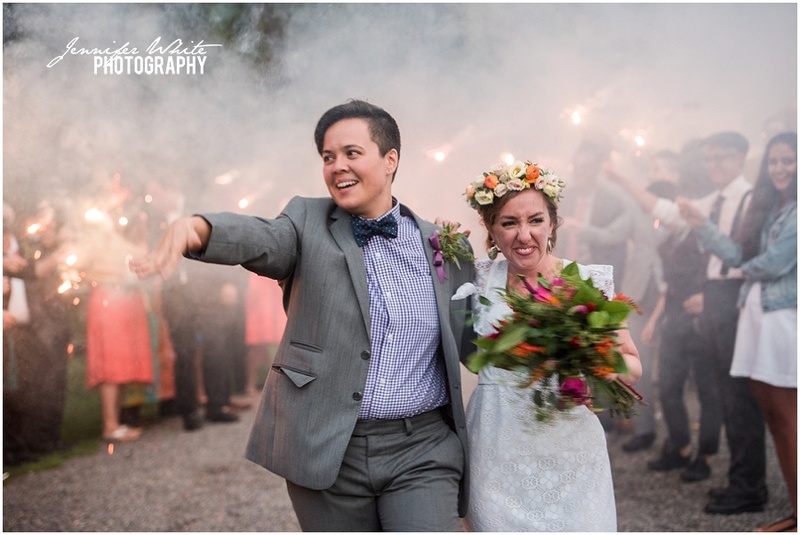 The two of them worked so hard to DIY their way to a perfect, heartfelt and joyful weekend filled with an amazing amount of personal details. 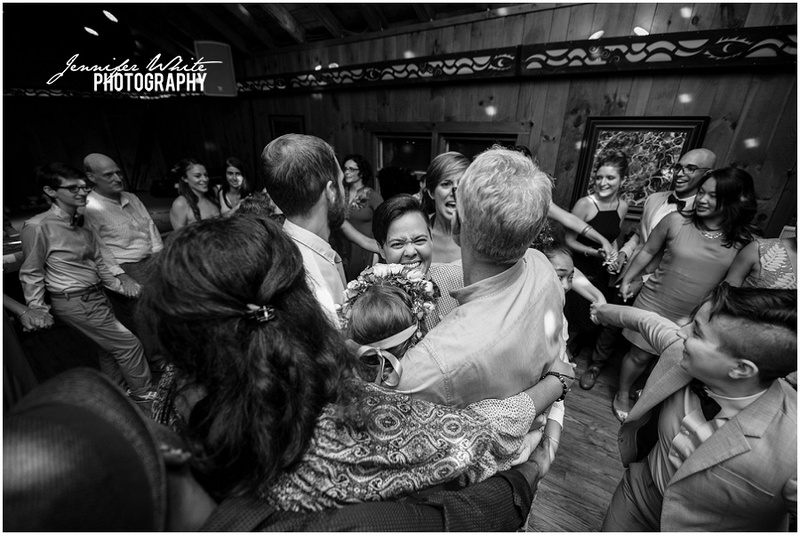 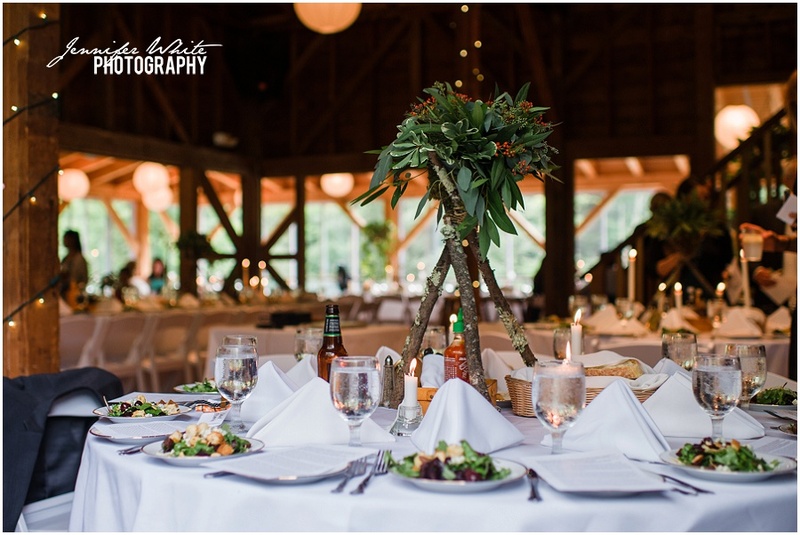 The Full Moon resort was the perfect spot to bring together friends & family from all over to celebrate and enjoy all of the fun activities planned by Ashley & Mi. 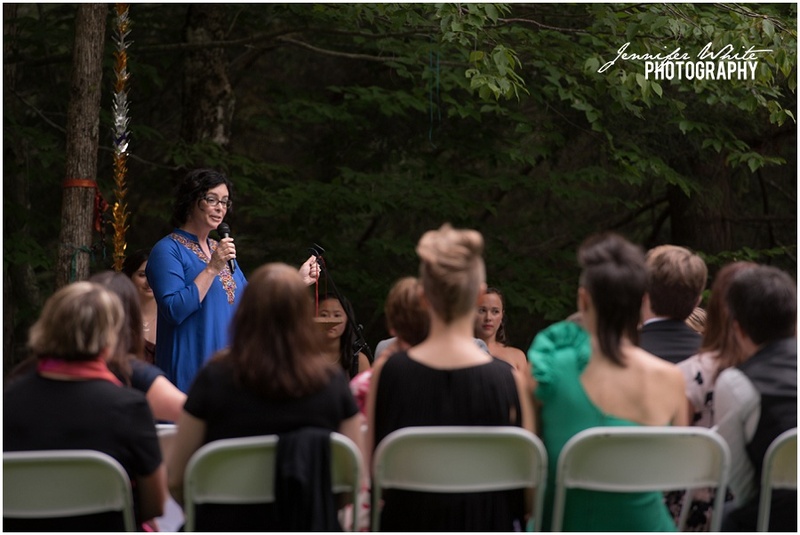 There was a campfire singalong, marshmallow roasting, and an outdoor yoga class led by one of Ashley’s bridesmaids. 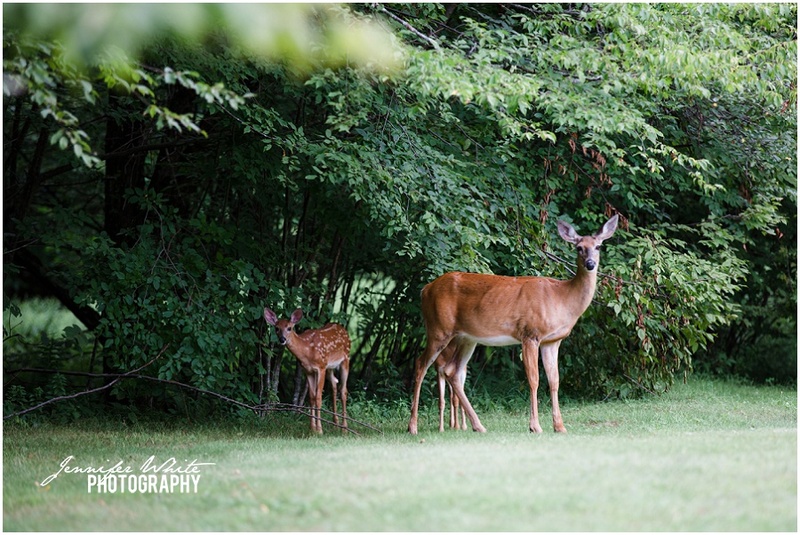 I felt a little like I was at summer camp instead of working! 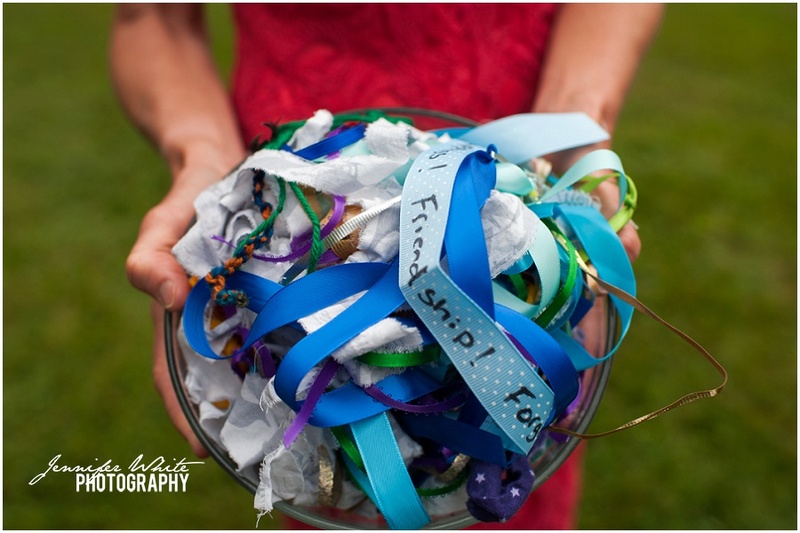 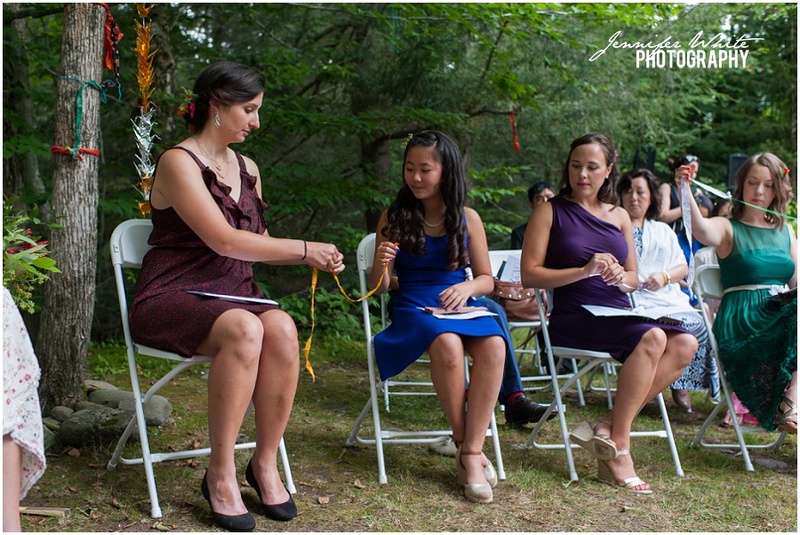 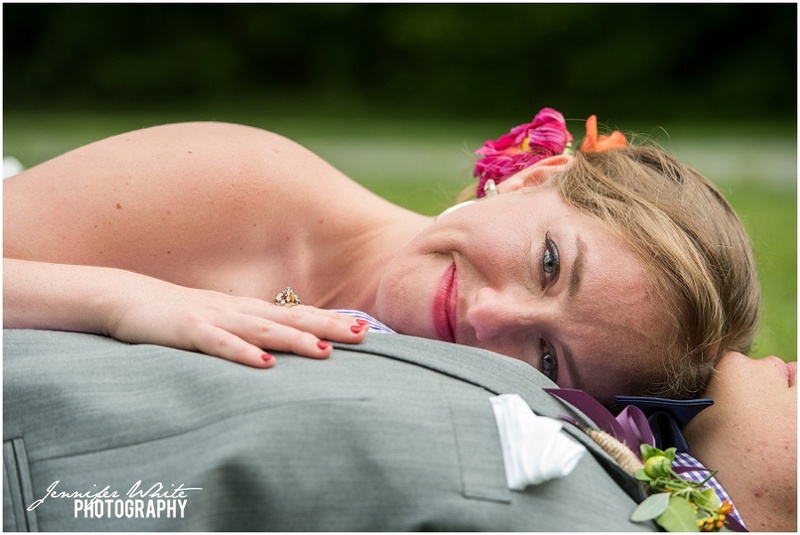 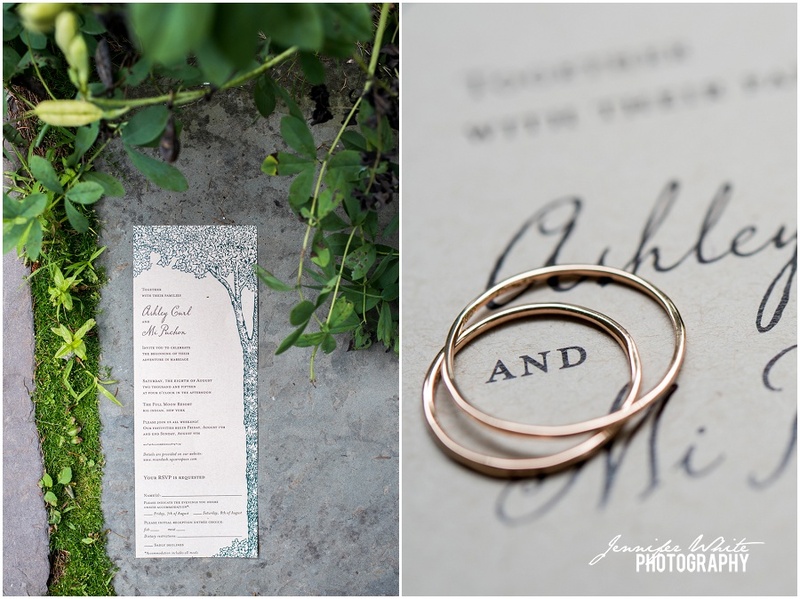 Each of the wedding guests was given a ribbon, which they held while sending sweet thoughts to the couple. 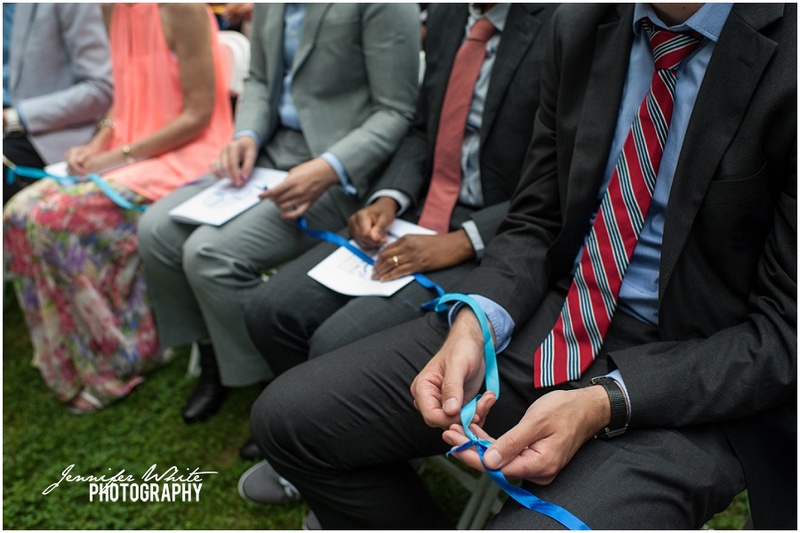 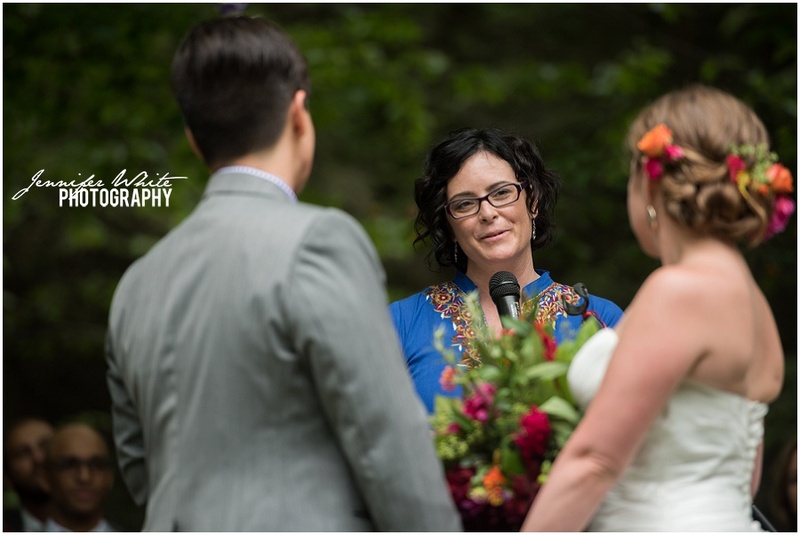 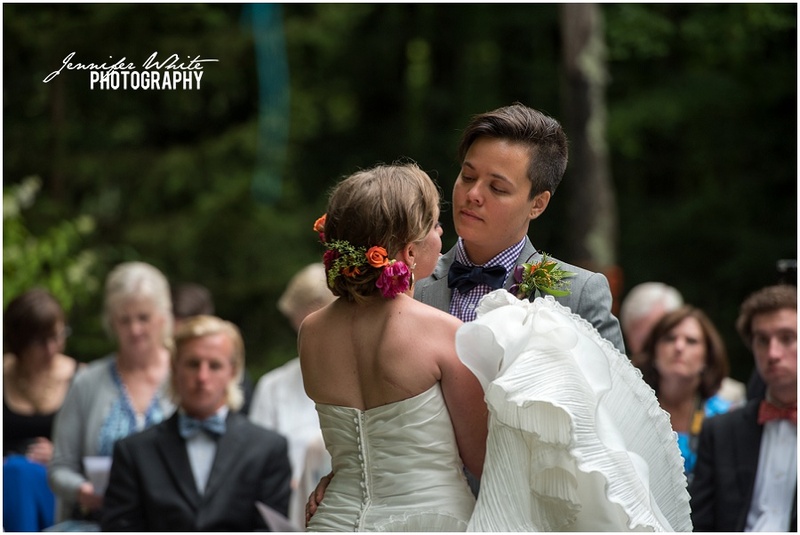 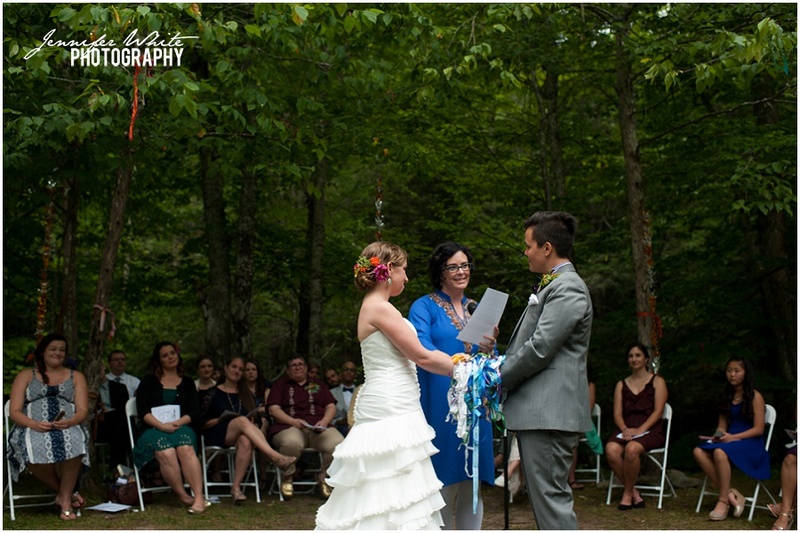 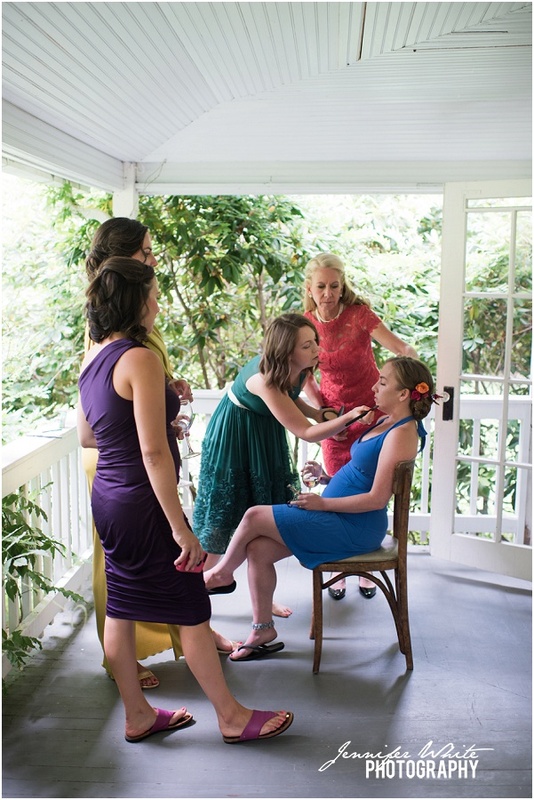 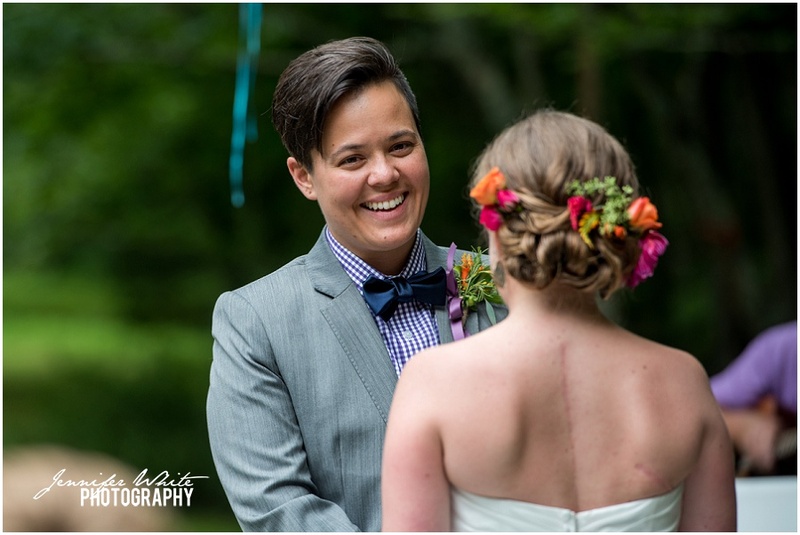 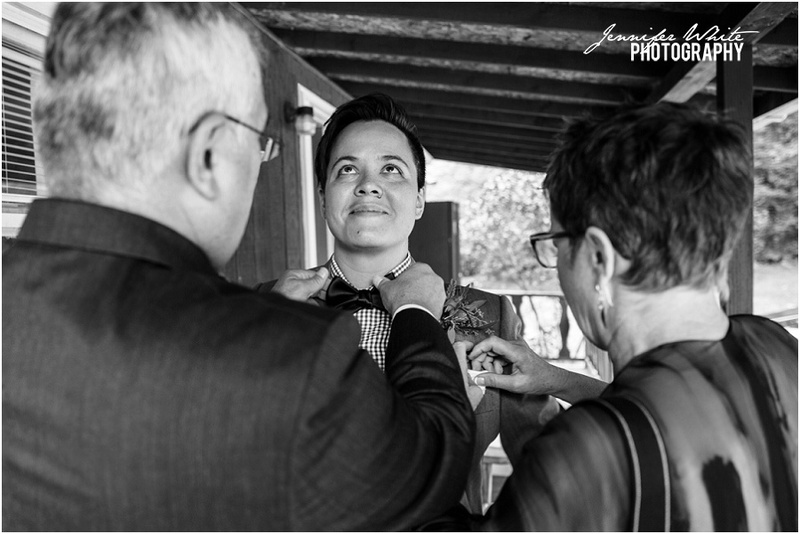 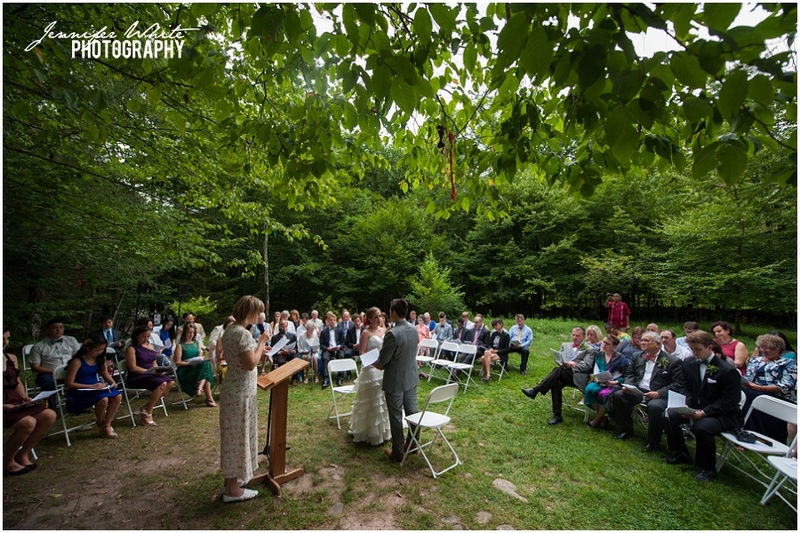 Everyone then tied their ribbon into one long strand, which the officiant used to do a handfasting. 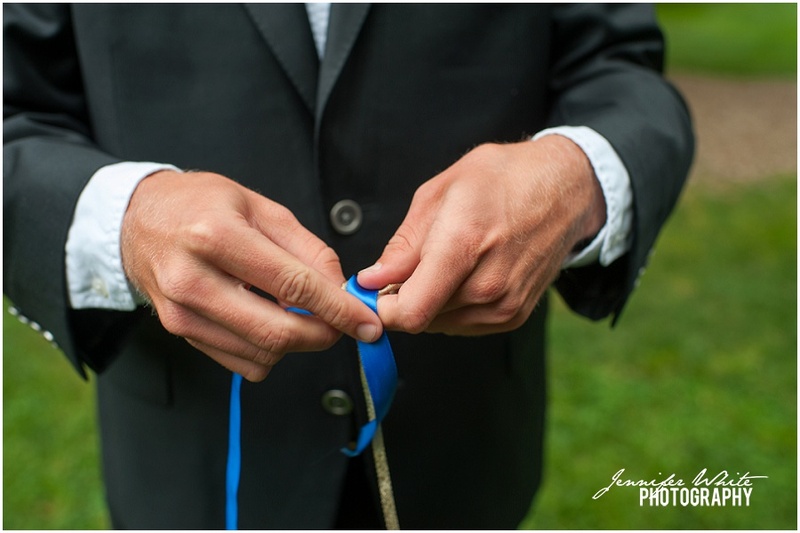 It was such a beautiful and thoughtful touch. 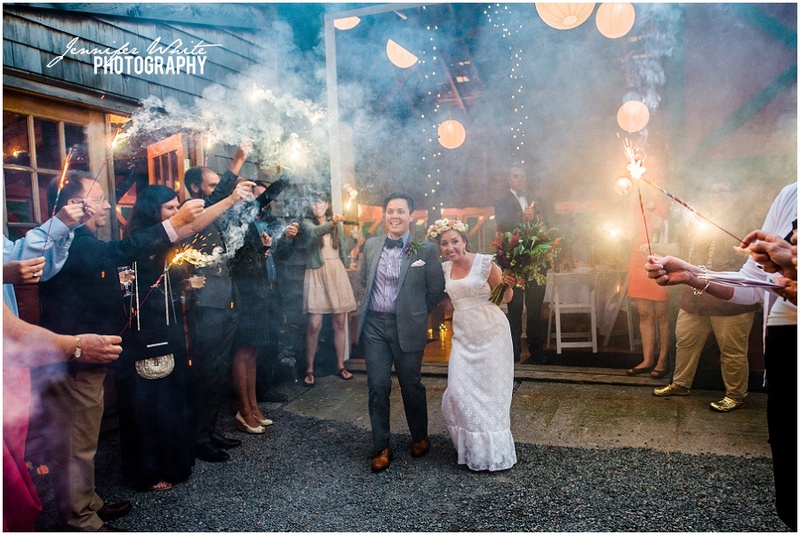 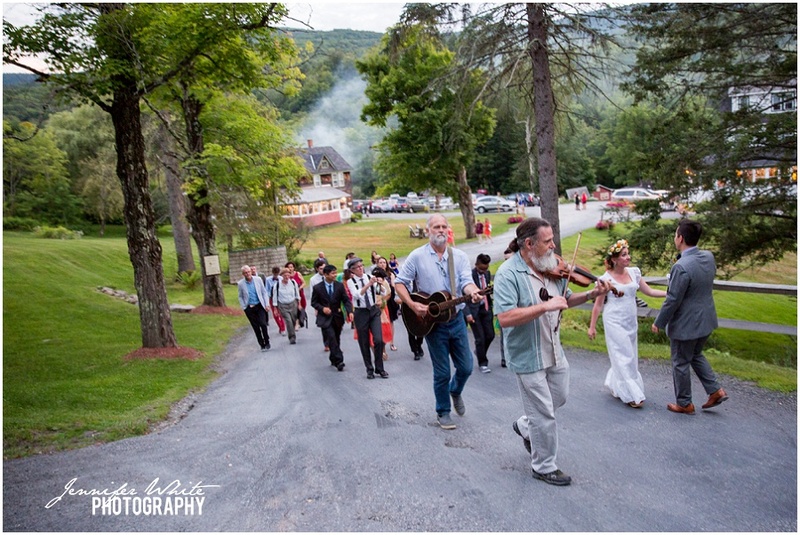 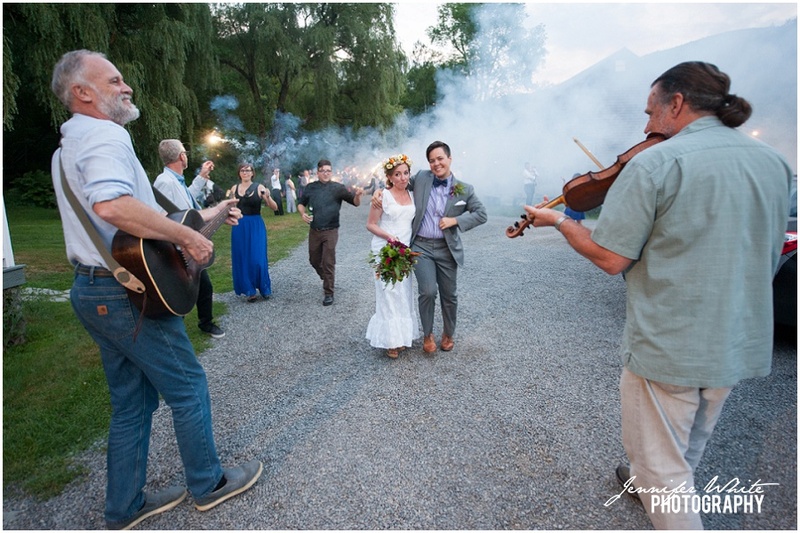 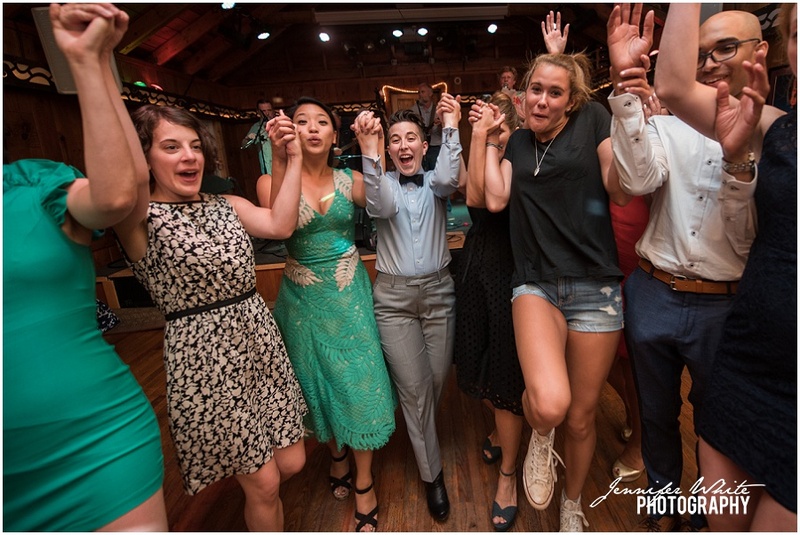 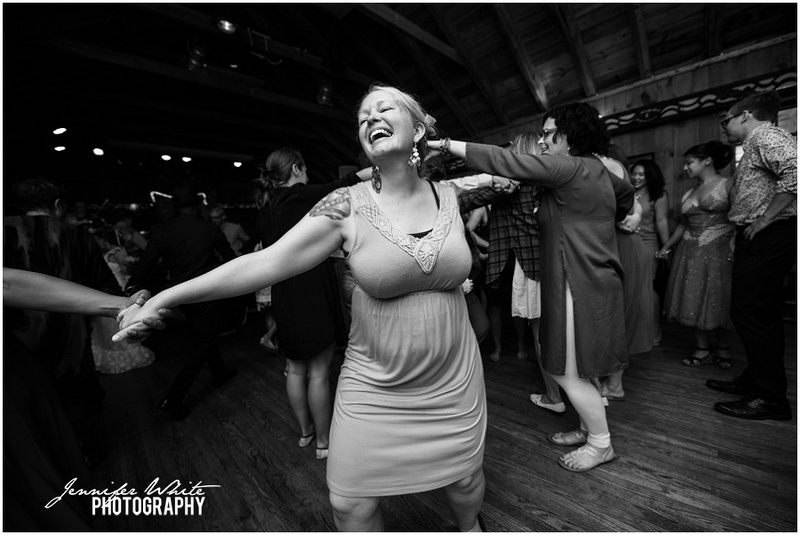 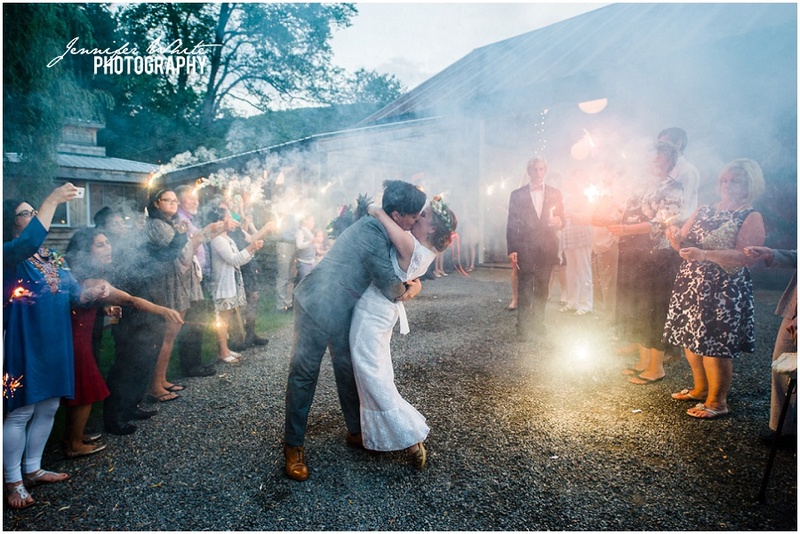 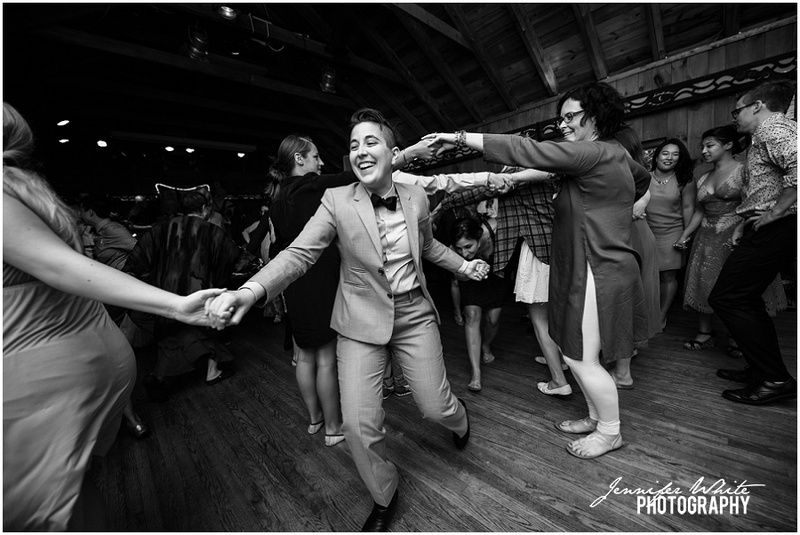 At the end of the reception, the guests made a sparkler line, and Ashley & Mi led the entire party over to the Full Moon Roadhouse for pie and Contra dancing!